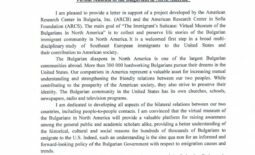 The American Research Center in Sofia Foundation (ARCS) and its partner organization in the U.S., the American Research Center in Bulgaria, Inc. (ARCB), are happy to announce a new publication on their digital project “The Immigrant’s Suitcase: Virtual Museum of the Bulgarians in North America.” The article was recently published in Vol. 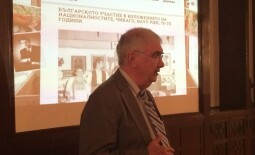 12 of Ongal, an international peer-reviewed journal of Ethnology, Archaeology, and Medieval Studies (http://www.spisanie.ongal.net/broi12.html), and edited by Snezhana Ivanova Yoveva-Dimitrova, Vice President of the Bulgarians Abroad – So Close, So Far Association. The volume is entitled “Bulgarians Abroad – So Close, So Far,” and the richly printed version is published by the Publishing House “ROD” with the support of the Agency for the Bulgarians Abroad of the Council of the Ministers of the Republic of Bulgaria. 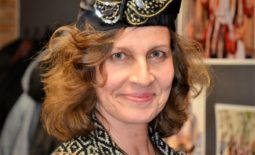 The article about the online museum is entitled “The Virtual Museum of the Bulgarians in North America: Shared Heritage and Intercultural Communications.” Its author, Dr. Dilyana Ivanova, is a representative of ARCS and ARCB in the U.S. and a Research Associate at The Field Museum in Chicago. Dr. Ivanova is the author and manager of the virtual museum project. In her paper, she presents the very first digital museum of the Bulgarians abroad and describes the oral history and archival content that has been collected from Bulgarians living in North America, with the goal of advancing their intercultural communications and visibility in contemporary global society. ARCS and ARCB are grateful to the organizations and individuals who made the publication of this volume possible. Specifically, we would like to acknowledge the efforts of Snezhana Ivanova Yoveva-Dimitrova, the Bulgarians Abroad – So Close, So Far Association, and the “Ongal” Association for Anthropology, Ethnology, and Folklore Studies for gathering and publishing this issue of the journal, which focuses explicitly on Bulgarians living abroad. 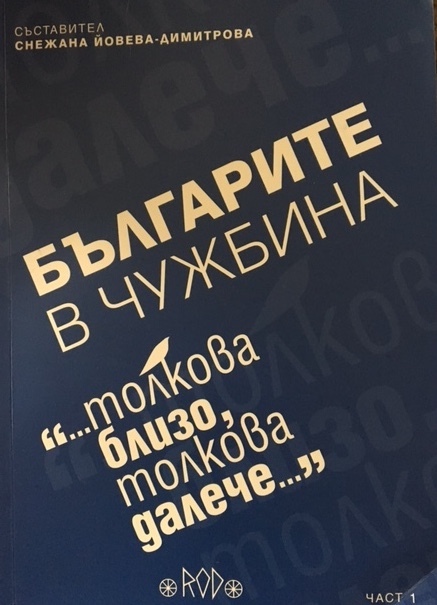 The existence of this volume is vital for the better understanding and research of Bulgarian migrants, and it will contribute to the implementation of Bulgarian national policy toward the preservation of the Bulgarian identity of the emigrants. This volume will help popularize the Virtual Museum of the Bulgarians in North America, thereby enabling it to become a place for intercultural dialogue, the strengthening of Bulgarian-American relationships, and the promotion of the cultural heritage of Bulgarian emigrants.